2016 marks the end of an era for V8 Supercars as the series heads into its final year of the ‘Next Generation V8 Supercars’ and look ahead to the new set of Gen2 regulation that will come into force from 2017. Before the Gen 2 rules come in their will be one more champion crowned in the V8 era. After one second place and four third place championship finishes, 2015 was Mark Winterbottom’s year. 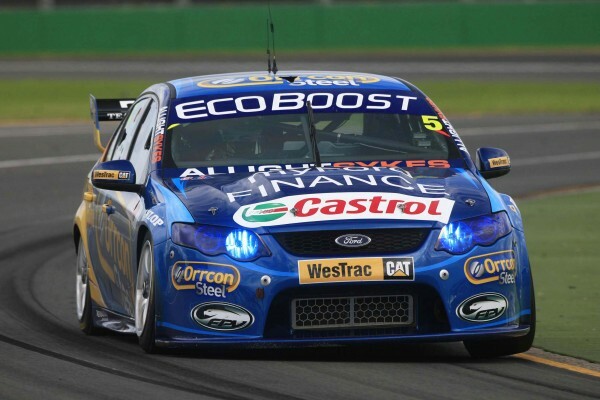 In his new Ford Falcon Winterbottom took the championship by storm taking nine victories on the way to the title. Despite the championship victory, Winterbottom will have to deal with some changes in 2016. Firstly, the minimal factory support that the Prodrive squad had in 2015 has now totally disappeared. Furthermore, there has been a change around on the driving front at Prodrive, Cam Walters joins Winterbottom for the full season after filling in for an injured Mostert and claiming the Dunlop Series Title in 2015. With Walters stepping up Chaz Mostert moves across to the Prodrive-run, Rod Nash Racing – effectively taking over from David Reynolds. If Mostert can transfer the form he had, before his terrible accident during qualifying for the Bathurst 1000 which ruled him out for the rest of the year, he will be challenging for the title in 2016. There will be three other Fords in the field. Super Black Racing return for a second season under the Prodrive banner. Chris Pither will be behind the wheel for the full season with Andre Heimgartner moving to Lucas Dumbrell Motorsport. The final two Fords are the only Falcons not to be run under the Prodrive banner. For the 2016 season, DJR Team Penske expands to a two-car team. The ever more impressive Scott Pye stays on for the full season and is joined by Fabian Coulthard. The New Zealander showed raw pace but a title challenge failed to materialise during his four-year stint at Brad Jones Racing, something he will look to rectify this year. Ford’s biggest challenge in 2016 will again come from the Holden’s with this year’s grid compressing of 14 Commodore’s. Leading the Holden charge will again be Triple Eight Racing, expanding to three cars for 2016. Shane Van Gisbergen joins from Techno Autosport, to make one of, if not the strongest line-up on the grid alongside Craig Lowndes and Jamie Whincup. 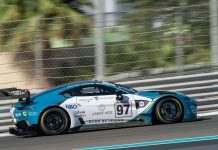 Lowndes will look to continue his form from 2015 when the 41-year-old proved his doubters wrong, showing he could still compete at the sharp end of the grid. While Lowndes prospered, Whincup struggled to find his feet in 2015. The five-time champion looked out of sorts, but a shuffle in the engineering department half way through the year saw a return to form. You wouldn’t put it past Lowndes making it a 7th title in 2016. Alongside Triple Eight, the Holden factory squad will again run a two-car effort in 2016, James Courtney and Garth Tander returning for a sixth consecutive season. The team showed glimpses of form in 2015 but lacked the consistency to mount any real challenge, the team will have to add consistency to their glimpse of pace if they want the mantel of the top Holden team. Other notable Holden runners come in the form of Will Davidson. The 33-year-old moves from Erebus to replace Van Gisbergen at Techno Autosport. Davidson will look to return to challenging for the title after a difficult two years at Erebus. While Davidson moves his former team have bigger changes ahead. Erebus will leave its Mercedes move over to the Holden camp. Along with a new vehicle, there are two new drivers, Aaren Russel has his first full season in V8’s and is joined by experienced David Reynolds. It’s not quite the 14 that Holden will have on the grid but Nissan return with a four-car entry, all run under the Nissan Motorsport banner. 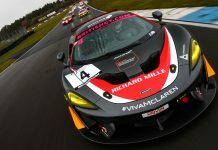 There’s only a slight change for the Japanese manufacturer with both Todd and Rick Kelly returning alongside Michael Caruso with new recruit Dale Wood. In their fourth season of V8 Supercars Nissan will look for an improvement, the new Altima lacked pace last year leaving them to fight it out in the midfield. The one departure from Nissan, James Moffat, heads down the pit-lane to Gary Rogers Motorsport and their Volvo S60’s. Moffat will hopefully provide Scott McLaughlin with competition for the first time in his four years with the team. It’s well known within the V8 paddock that McLaughlin has the pace to beat anyone on his day, but the Volvo has yet to shown the reliability that will help the New Zealander challenge for the title. Whoever wins the 2016 V8 Supercars Championship will have to have the raw pace and consistency over the 15 round season. 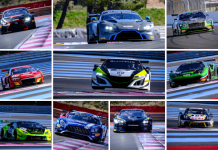 It’s a season that contains three Super Street, seven Super Sprint, two Internationals Super Sprints and the traditional three rounds that make up the Endurance Cup. And all the rounds will be covered on Sportscarglobal.com.